Relaxing cottage holidays and weekend retreats in the Somerset village of Freshford, 10 minutes from Bath by car or by train. Self-catering. 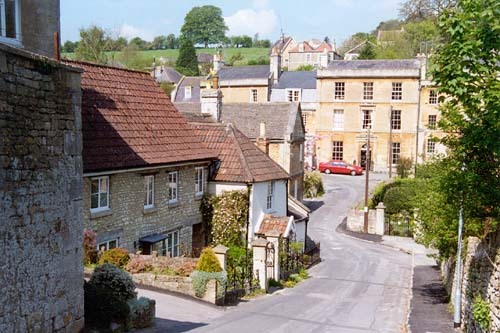 Located in the Somerset village of Freshford, only ten minutes from Bath by train or car. From here you can explore the wonderful city of Bath, the delightful villages of Freshford, Bradford-on-Avon and Frome and some of the finest stately homes, rural pubs and restaurants that the region has to offer. White Hart Cottage can sleep four adults (king size bed and adult size bunk beds), or two adults plus two children. The cottage has two bedrooms, a bathroom, a separate living room and a kitchen & breakfast room. High quality fixtures and fittings are provided along with White Company linen and towels, to ensure a most comfortable holiday or retreat. Free unlimited Wi-Fi, BT TV (incl. Sports 1, 2, 3 & ESPN), DVD player with broad range of movies for all ages, iPod/CD player, DAB Radio. Fully equipped kitchen with kettle, Nespresso coffee machine, toaster, clothes airer, dishwasher, gas hob with electric fan oven, microwave, fridge, clothes washer/dryer machine and iron/ironing board. Gas central heating, double-glazed windows and french doors with decking to garden (at rear). 2 bedrooms, 1 luxury king size double bed, adult-size comfortable quality bunk beds, hairdryer, chest of drawers and wardrobes in bedrooms. Bathroom tiled in travertine stone with WC, basin and cabinet and walk-in shower. Kitchen/breakfast room seating 4, high chair is available. Sitting room seats 4 adults with 2 sofas and one arm chair, ottoman, oak flooring, stocked bookcase, range of family games, selection of DVDs for all ages and comfortable furnishings. White Company linen and towels are provided, with additional blankets. High chair, travel-cot, stair gate, child bed-rail and baby bath are available (on request). Private garden and decking with outdoor table & chairs to the rear. Due to the age and and associated restrictions of the cottage, the property is not suitable for wheelchair use. A welcome basket is provided on your arrival including essentials such as milk, bread, tea, coffee and biscuits. The Cottage is situated at the top of Freshford Lane, a village road leading to the local Village Shop & Café. It is a community shop - built, owned and run by the people of Freshford and Limpley Stoke. You will find all of the affordable basics and a few treats including local produce, whole foods, organic foods, fair trade products, fruit and veg, milk, cream and yoghurt, local and vintage wine and beer, store-baked bread and croissants, freshly prepared coffee and home-made cakes, fresh hand-made lunches, newspapers, local books and gifts. Mid-week and at weekends there are artisan oven-baked pizzas available, cooked to order and only two minutes from your front door. 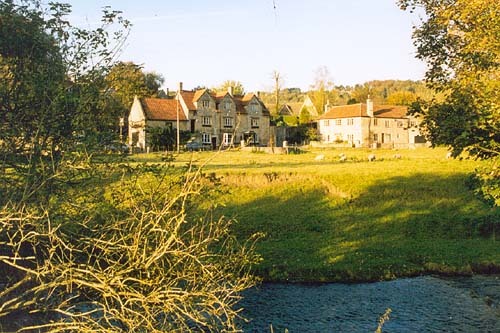 With a very short walk through the village, The Inn at Freshford is a beautiful 16th Century village Inn located on the banks of the River Frome at Freshford, on the outskirts of Bath. The surrounding countryside is part of The Cotswolds Area Of Outstanding Beauty and is favoured by many cyclists, joggers and walkers - the pick of the trails being the Two Valleys Walk. Please click on an image below for a larger view. With original timber beams, open fires, a pretty beer garden, ample car parking and a very warm welcome, the Inn at Freshford is a real local pub serving great food and real ales from the Box Steam Brewery. There's an excellent and frequent rail service between Freshford Station to Bath Spa and Bristol Temple Meads, providing wonderful access to Bath (in only 10 minutes), Bradford on Avon and Bristol. Here you will find galleries, restaurants, theatre and cinemas in addition to the full world heritage experience of the Roman City of Bath. Onward connections to London and Cornwall are easy and frequent. Freshford is on the 'Heart of Wessex' line which follows a beautiful 87 mile route through Dorset, Somerset, Wiltshire, Bath and Bristol. 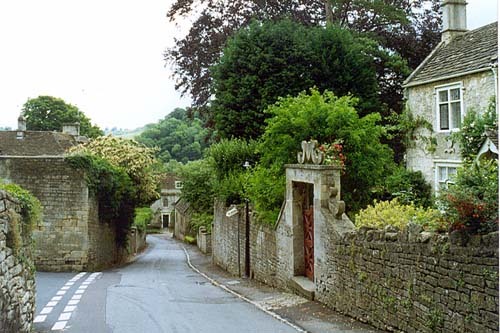 More information about the village of Freshford can be found here. 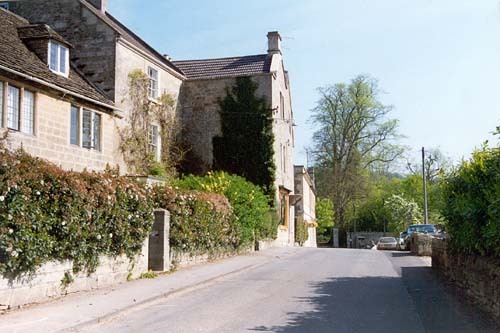 Images of Freshford are courtesy of Freshford.com.